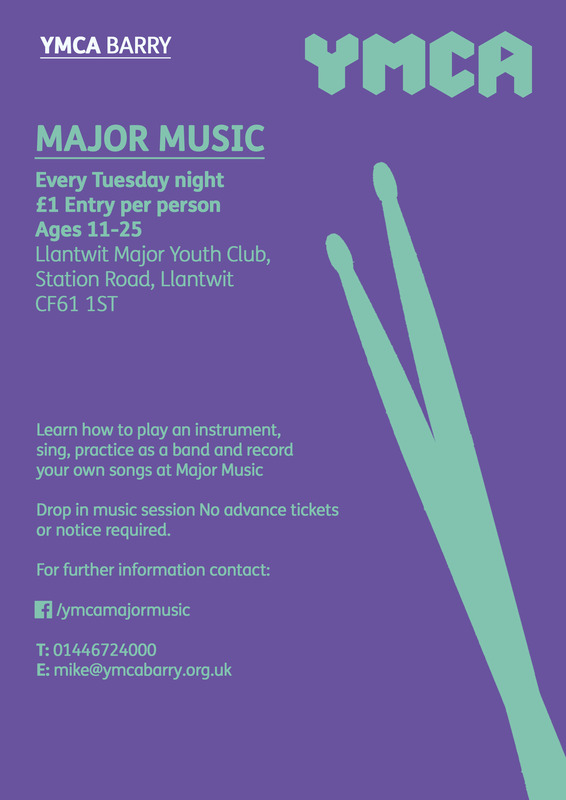 Major Music became a project run by YMCA BARRY in late 2014 and provides a creative music service and project for young people in the Vale of Glamorgan since February 2000. Music can enrich lives, its can be liberating, exciting, soothing, joyful – the act of creating music is, in itself, educational and empowering. Major music continues to promote creativity through positive informal learning, in a relaxed and welcoming environment. The aim of the project is to give young people the opportunity to express themselves positively through music.